The newest additions to the flock have started laying. I was so surprised to see the size difference in a young bird’s egg and the egg of an older chicken. The the large egg was layed by one of our older barred rocks. It is so large that it really does not fit the egg carton. 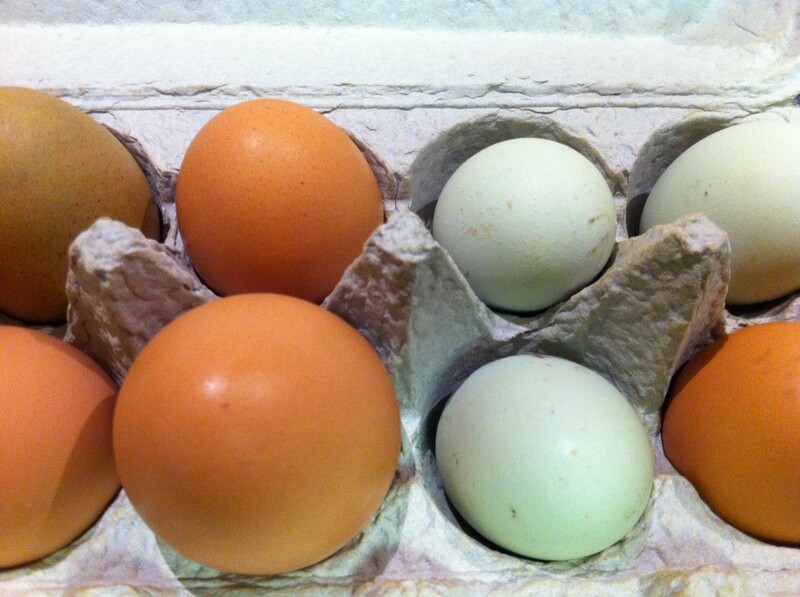 The smaller greenish egg was layed by the newer Americana in our flock. Her older counterpart lays a much larger green egg. 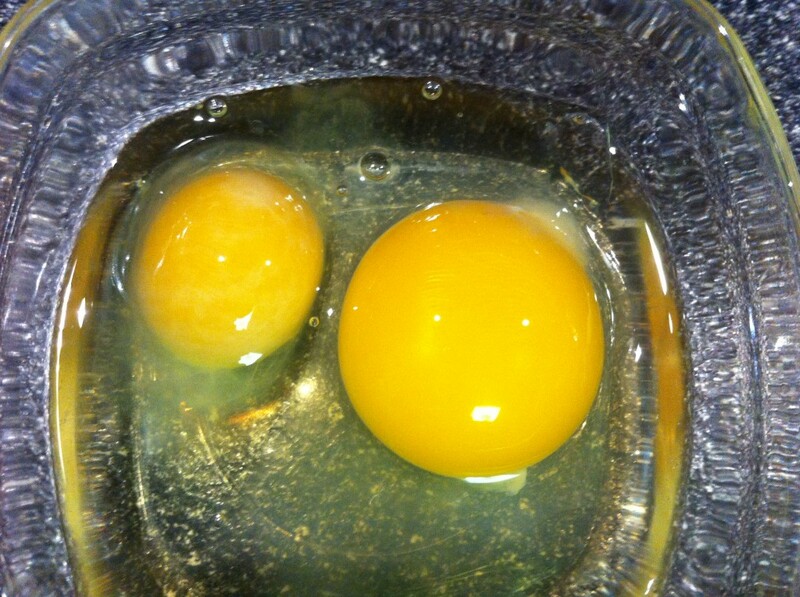 Below is a picture after they have been cracked that shows the difference in yolk size.